Over several years, I learned many things about why litter accumulates and what it takes to discourage it. I do not claim to be an expert on litter reduction techniques. If I claimed to be an expert, I would be very rich and Cincinnati would be very clean. But there is a science–as there is with anything–behind why we litter, why transients litter, and what it takes to convince someone to clean up someone else’s mess. It may seem like a tall order, but we all inherently want a clean neighborhood–well, most of us.Like crime, only a few are guilty offenders. All we want is for those guilty few to either realize value in their neighborhoods or to go elsewhere. Litter is expensive. On the front end, there is obviously the cost of consuming whatever product it held or enveloped. But at the end of that product’s life, it many end up on the curbs and sidewalks or, worse, in a sewer drain and into a precious body of water. According to a July 2011 post by Cool Cleveland, litter cleanup cost upwards of $4.5 million in the State of Ohio (1). This is aside from all the pro bono work done through initiatives like Keep America Beautiful’s Great American Cleanup, Pick Up America, and Earth Day activities. And just think of all the fuel costs associated with litter cleanup on our nation’s Interstate freeways. In the State of California, plastic litter claims more than $151 million per year, at the rate of $50,000 per year for weekly cleanup of each 5 mile section (2). Certainly, litter creates a few jobs, but the positive impacts are negligible. While nearly all state governments are struggling to balance budgets and pay for infrastructure improvements, it is counterintuitive to perpetuate the degradation of neighborhoods, by making it harder for governments to make even minimal improvements. Let’s bring the conversation home, so to speak. 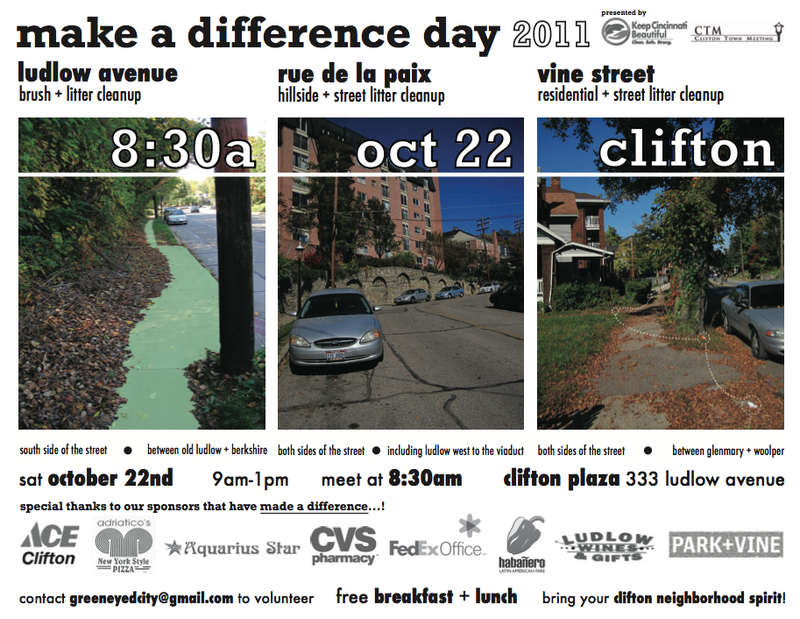 I have led successful Great American Cleanup efforts in Cincinnati’s Clifton neighborhood in 2010 and 2011. This year’s Make a Difference Day was a more comprehensive cleanup initiative in the neighborhood, not stopping at just litter but clearing up overgrowth and homeless encampments. Among the findings, tires were discovered in the most random locations. Even a car battery was dumped in brush, across from Cincinnati State Community and Technical College. These initiatives are wonderful vehicles to bring neighborhood folks, professionals, and students together for a common cause. However, it is only briefly addresses–and erases–that certain people do not feel they can claim a role in the neighborhood. According to the Georgia’s Litter. It Costs You. campaign website, “People litter when they don’t feel a sense of ownership of an area . . . like parks, playgrounds, or abandoned lots” (3). A couple weeks ago, the Cincinnati Enquirer ran an article about the increasing problem of tire dumping in the city. “They dump because they don’t want to pay the disposal fee, which can be $2 to $5, depending on the size of the tire. Taxpayers pay for much of the cleanup,” the article said (4). So, how much does it cost? In an extreme case, more than 400 tires were found having been dumped at the end of Dayton Street in the West End, even filling a house. For Rumpke to pick up those tires, the bill amounts to $1,300 (4). Statewide, from 2006 to 2010, more than $17 million has been spent on litter removal, totaling over 1 million man hours (1). Account for fuel costs and carbon emissions to expend those monetary and human resources, and litter becomes an extremely taxing act of carelessness. The important action in all of this is to get ahead of litter, its causes, and its symptoms. Georgia’s Litter. It Costs You. website states something that should already been common knowledge: “Litterers feel free to litter when they see someone has littered before them . . . like in vacant lots, along rural dirt roads, or at the end of a dead end street” (3). When one chooses not to pick up that empty Styrofoam cup at the bus stop, it acts as a powerful magnet to invite more litter. 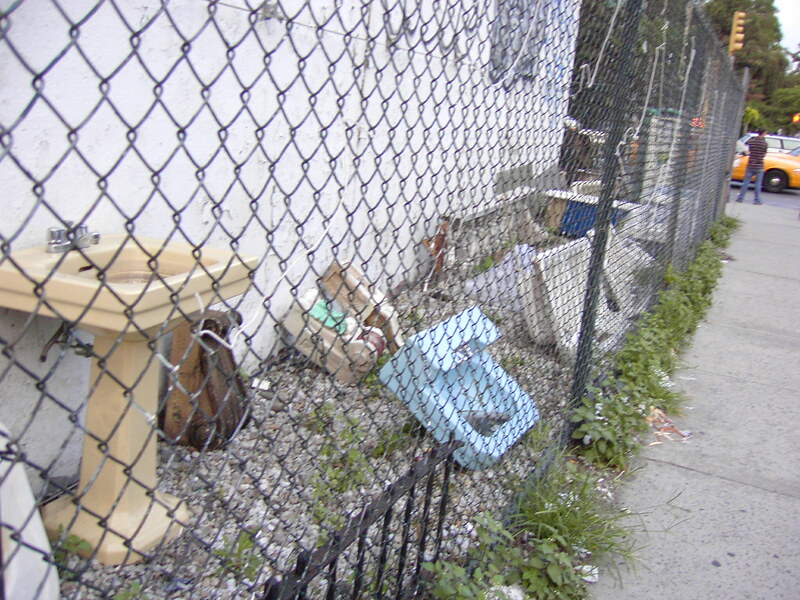 By taking charge of litter alleys, vacant lots, and sidewalks, it shows that someone is watching. Keep America Beautiful cites that business development is sensitive to whether litter is an issue. The National Association of Realtors also reduces valuation of a property by about 7 percent, where there is a strong presence of litter (5). During a recession when property values have bottomed out, litter only exacerbates the issue of stimulating neighborhood development. 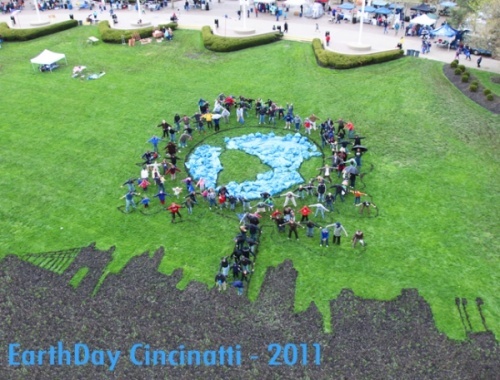 Continued support from local campaigns like Keep Cincinnati Beautiful’s Don’t Trash the ‘Nati and Littering is Wrong Too are vitally important to disseminate proper litter prevention measures among kids and adults. But we need more people on the streets, picking up litter regularly, in order to get ahead of the issue–not just for annual cleanup events. Share with your roommates, family, and friends the value of keeping our streets and walkways clean. Our efforts should not be limited to our own neighborhoods but abroad. Community should not be exclusive but, instead, inclusive. Let’s stand together and grow. (1) Carillio, Robert. “Litter in Cleveland: To Clean up Our City, We Must Clean up Our Act.” CoolCleveland. Cool Networks LLC, 19 July 2011. Web. 22 Dec. 2011. (2) “Plastics Cleanup Costs.” Earth Resource Foundation. Web. 22 Dec. 2011. <http://www.earthresource.org/campaigns/capp/capp-economics.html&gt;. (3) “The Facts.” Litter. It Costs You. The State of Georgia. Web. 22 Dec. 2011. <http://www.litteritcostsyou.org/facts.aspx&gt;. (4) Prendergast, Jane. “City, County Take on Tire-dumping ‘marauders'” Cincinnati.com. The Cincinnati Enquirer, 16 Dec. 2011. Web. 22 Dec. 2011. <http://news.cincinnati.com/article/20111216/NEWS010801/312160035/City-county-take-tire-dumping-marauders-&gt;. (5) “The Indirect Costs of Litter on Quality-of-life Are Considerable.” Litter in America. Keep America Beautiful, Jan. 2010. Web. 22 Dec. 2011. <http://www.kab.org/site/DocServer/LitterFactSheet_COSTS.pdf?docID=5183&gt;. Image of “Art in the Sky”: Knight, Cameron. “Art for the Sky with Picking Up America.” CityBeat. Cincinnati CityBeat, 19 Apr. 2011. Web. 22 Dec. 2011. <http://www.citybeat.com/cincinnati/blog-1930-art_for_the_sky_with.html&gt;. This entry was posted on December 23, 2011 by C. Huelsman in Commentary and tagged californiadot, coolcleveland, georgiadot, keepamericabeautiful, litter, pickupamerica, tires.